Experienced Sewer Inspections And Repair Company Servicing Denver And The Surrounding Areas! If you want an extremely thorough and knowledgeable sewer inspector tech in Denver, you have found the right company, a fully insured, full service sewer inspection. At Safe Investment Sewer Inspections, we believe in protecting our clients' interests and safety, and providing excellent customer service. 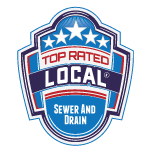 We also provide top notch Sewer Repair Services. If you want an extremely thorough and knowledgeable sewer inspector, or drain cleaning tech in Denver, you have found the right company, a fully insured, full service sewer inspection and drain cleaning company. At Safe Investment Sewer Inspections, we believe in protecting our clients’ interests and safety, and providing excellent customer service. We will also incorporate the newest location technology to determine the depth and placement of your sewer lines and any observations so we can tell you exactly where the problems are located. At the end of your sewer inspection, you will literally have a full view of your sewer lines’ condition and we will make sure that you understand what steps do or don’t need to be taken next. Then we repair it with professional ease. Nathan provided an extremely thorough inspection of a potential investment property for me. His report highlighted important safety and health flaws that could have been liability risks for me and my tenants. Those issues were significant enough to terminate the transaction when the seller was unwilling to correct the deficiencies reported. I am a real estate agent and I have worked with lots of inspectors. Recently, Nathan came to do an inspection on my own property and did an excellent job! He is very detail oriented and thorough!! I have recommended Nathan and his company many times and will continue to do so. Thanks Nathan for consistently doing an excellent job! Home of Denver's Un-Biased Sewer Inspections and Drain Cleaning. We do not do repairs!